(SPRINGFIELD, OH) – The Agricultural Data Coalition (ADC) continues to expand its leadership diversity, as it announced today the addition of Iowa AgSTATE to its group of founding members. Iowa AgSTATE has been actively involved in digital agriculture strategy and education and summarized its work in a 2014 report on the Digital Transformation of Row Crop Agriculture. 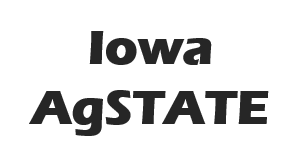 Formed in 1997, Iowa AgSTATE (Agricultural Strategic Thinkers Acting Together Effectively) involves leadership of all segments of Iowa agriculture to develop a proactive, futuristic vision for Iowa agriculture and action plan to help make that vision a reality. Members include Agribusiness Association of Iowa; Iowa State Dairy Association; Iowa Cattlemen’s Association; Iowa Corn Growers Association; Iowa Corn Promotion Board; Iowa Farm Bureau Federation; Iowa Institute for Cooperatives; Iowa Pork Producers Association; Iowa Poultry Association; Iowa Soybean Association; Iowa State University College of Agriculture and Life Sciences; and Iowa Turkey Federation. The ADC was formed to help educate the agricultural industry and the public about the value of agricultural data and its impact and create a farmer controlled, secure, neutral, and flexible data repository, a “safety deposit box” where farmers and their trusted advisors can safely store, manage, and share their farm’s production information. Other ADC participants include: AGCO, American Farm Bureau Federation, Auburn University, CNH Industrial, Crop IMS, Ice Miller LLP, Mississippi State University, The Ohio State University, Purdue University, Raven Industries, Topcon Positioning Group and University of Nebraska-Lincoln.